Virtual doctor visits are becoming increasingly popular, but insurance doesn't always cover it. PHOENIX — An important bill is moving on to the next step that would expand telemedicine in Arizona by requiring insurance companies to cover every virtual visit. Right now, insurance only covers some specialties if the doctor uses telemedicine. Supporters say it's a move that would save money and save lives. Summit Healthcare Regional Medical Center in Show Low is the perfect example of telemedicine at work. Their services can improve care and eliminate gaps in service that can happen in more rural communities where hospitals can't afford to keep every kind of specialist on staff. Summit Regional lost its nephrologist, the doctor needed for dialysis patients to continue treatments if they're hospitalized for something else. Patients only had the option of taking $40,000 helicopter rides to Phoenix or Flagstaff and if they didn't have separate flight insurance, they would be saddled with the full transport bill on top of the other medical procedure bills. As word spread among dialysis patients, some stopped going to the hospital outside of their regular treatments. "They started deferring care. 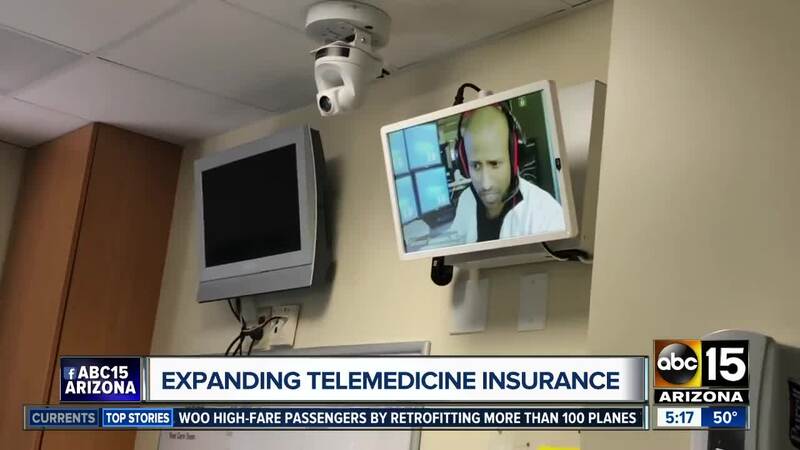 Patients weren't coming in to the emergency room and they were getting sicker," said Kristi Iannucci, the hospital's Telehealth Specialist. Then the hospital started using telemedicine to connect a nephrologist from Flagstaff with the patients virtually. The doctor is able to update their charts electronically with a nurse in the room to follow along and perform any needed tests. The problem was solved and Iannucci says in just over a year, more than 400 patients used telemedicine in Show Low saving the hospital almost $3 million. "That is just life changing for people," said Iannucci, "I get to be in the comfort of my own community, close to my family, and support system as well. That makes such a difference for patients and their families." She says the list of specialties covered by insurance when performed through telemedicine is short and expanding it would save more lives. The Arizona State Senate and House Health Committees will convene for a special meeting Thursday so supporting doctors can testify in hopes of moving the bill closer to a vote.